Greetings and God’s Blessings for our nation! I write in my personal capacity as a citizen; one who is eligible and registered to vote in national elections including referenda. I write to seek clarification and to advise your Office and by extension the Government of Grenada accordingly, on the subject of the holding of the upcoming constitutional referendum. I have participated and contributed in various public fora including those organised by the Government. On the matter of constitutional reform, I have had attendance at meetings with the late Professor Simeon Randolph Mc Intosh and at the national consultation held in December 2010 by the government led by the National Democratic Congress. I was also present at the national consultation held by the government led by the New National Party in October 2014 and have being involved in some of the other activities of the Constitution Reform Advisory Committee (CRAC). With the resumption of the constitutional reform exercise by the Government in January 2014, I have started alerting all parties (the powers-that-be and the ordinary people) of the need for ‘intelligent, noble and patriotic’ attitude and approach to the exercise. 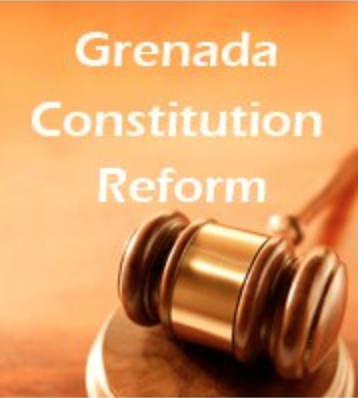 To-date, I have written over 40 pertinent articles, most of which can be found on the Internet by typing the lead caption “Grenada Constitution Reform …by JK Roberts”, (Sound Public Policies Advocate). Very early on the resumption of the exercise on constitutional reform, I have raised some irregularities and out-of-context treatments of the exercise; and as an example, a date for the referendum was announced in July 2014 for a referendum on 10 February 2015, without the recognition of a Referendum Act consistent with section 39(6) of the constitution. I have brought up the issue of the importance of satisfying section 39(6) in my articles, and also at meetings, including those of the missions of the United Nations Development Programme stationed in Barbados, which led to the enactment of the Constitutional Referendum Act in August 2016. There are genuine concerns that all of the Bills pertinent to the referendum were passed in Parliament without due process and proper procedures, as well as without sound debates and public awareness. Whilst your Office is not responsible for the enactment of the resultant Acts, and in particular, there is nothing that it can do regarding the Constitutional Amendment Bills for the referendum, the office, however, is essentially the executing agency for the Constitutional Referendum Act (Act No. 25 of 2016) and, therefore, it has a solemn responsibility to ensure that the application of the Act does not negatively affect the outcome of the referendum. Any unprincipled or prejudiced factor associated with the referendum would produce a negative or an unfavourable outcome which may prevent me from enjoying the benefit of my vote. It is easy and fair to conclude that the manner regarding the enactment and application of the Referendum Act (No. 25, 2016) has been ‘hasty and haphazard’. The certification of the Bill for the Act as a Money Bill, by the Speaker of the House of Representatives, is yet to be accurately constitutionally-verified. There is evidence of poor drafting of the Bill and even with the soon amendment of Act No. 25 of 2016 with Act No. 26 of 2016, ambiguities remain. The confused interpretation of the Acts as regards the validity of the 27 October 2016 referendum date, with respect to the issuing on 23 September 2016, of the first set of writs is unfortunate; section 4 and section 5(2) of the Principal Act seems to be in conflict. Moreover, the main reason explained by the Government for a delay of the referendum does not comply with any of the conditions for the adjournment of the referendum date as provided for under section 7 of the said Act No. 25 of 2016. It has been observed that your Office, the CRAC and some other bodies have been informing the people on different versions of the ballot paper for the referendum. I have further observed that the form of the sample of the ballot paper promoted and publicised by your office is apparently not consistent with section 10(3) of the Constitutional Referendum Act, and in particular with the form for the ballot paper outlined in the Second Schedule Form No. 3 of the Regulations to the Act. The official Form to be used for the referendum seems to be having a number of symbols or features, as well as a numbering scheme for reading and identifying and responding to the constitutional referendum questions, contrary to the statutory provisions. Further to considering the aforementioned, it is imperative to consider also that generally the referendum event is a completely ‘new and strange’ experience for the people; that the referendum process including the nature and number of proposals to be voted on, is of confused complexity; that the period used for the sensitisation and education of the people on voting at the referendum has been grossly inadequate; and that the level of illiteracy/literacy of the electorate impacts the making of an informed vote. Moreover, the mark for expressing a valid vote is not ‘clear and definite’; this assertion is in reference to the Regulations and Form No. 4 which speaks to the Direction to Voters. All of these considerations, if not astutely addressed, may induce a greater chance for an official of the polls to direct or influence the voter in making the vote, in performing the role of the presiding officer to “instruct the elector how to cast his or her vote”(Regulations 22 refers); and thereby substantially affecting the outcome of the referendum. There is a grave lack of confidence and interest by the people in the present referendum process, and notwithstanding the Referendum Act provides for constitutional referendum petition by citizens for judicial redress, every ‘moral endeavour’ must be employed to avoid the discomfort of court action on the integrity of the referendum. Awkwardness prevails when for example, the Act also stipulates that its regulations are “subject to negative resolution”; that is, the regulations made (good or bad) are used and validated without been probed and judged by Parliament. Outrageous levels of error, inconsistency and deficiency spell an illegal and questionable referendum. However, there should be no cause on your part to bring the good office of the Parliamentary Elections Office into disrepute, with respect to the conduct of the constitutional referendum. Please be guided accordingly.